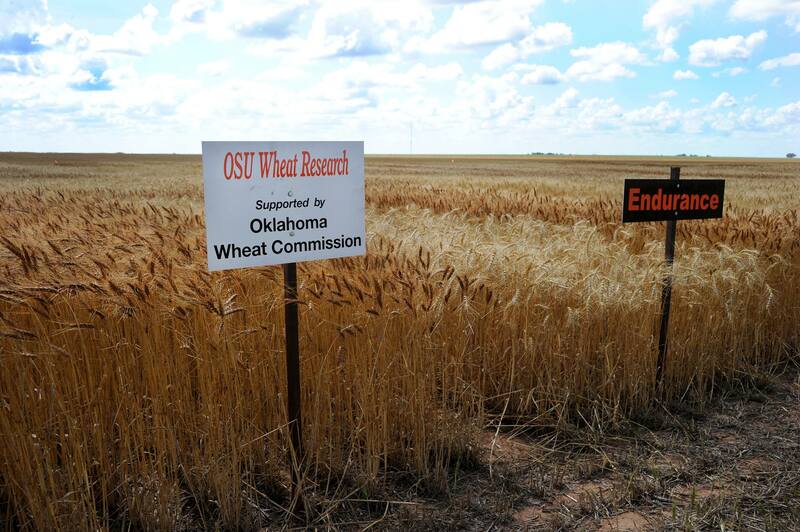 The 2014 Oklahoma wheat harvest is underway and results from the Walters and Thomas wheat variety trials are now posted at http://www.wheat.okstate.edu. Depending on field operations, I usually get variety trial results posted on the web within a day or two of harvest. The best way to learn when results are posted are to follow me on Twitter @OSU_smallgrains or subscribe to our Extension news list serve (send me an email at jeff.edwards@okstate.edu to be added to the listserv). I have posted a few pics from our harvest operations below. Wheat checkoff dollars make the Oklahoma Wheat Variety Testing program possible. We appreciate the support of our Oklahoma farmers! 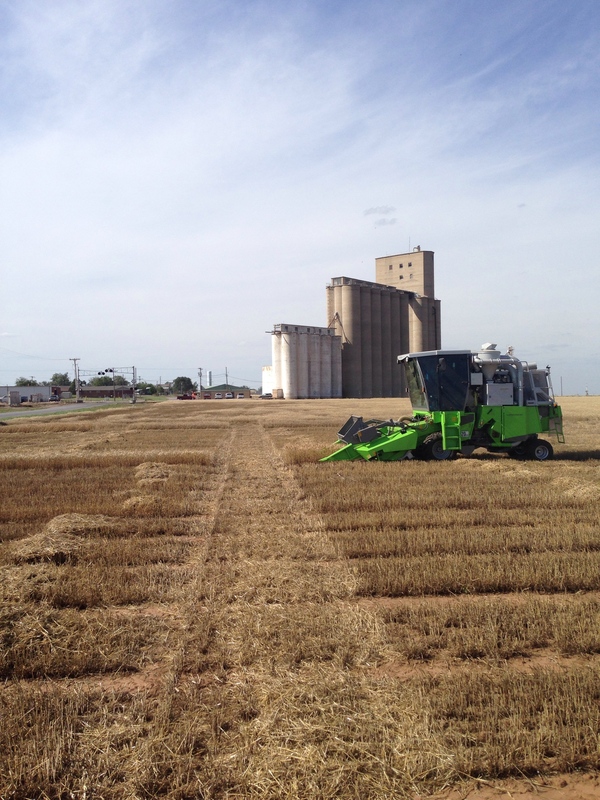 Harvest at Walters, OK. Photo courtesy Todd Johnson, OSU Ag. Comm. Services. Changing tires on the side of I-35 is never fun. We blew two more on the way to Thomas the next day and damaged the trailer. 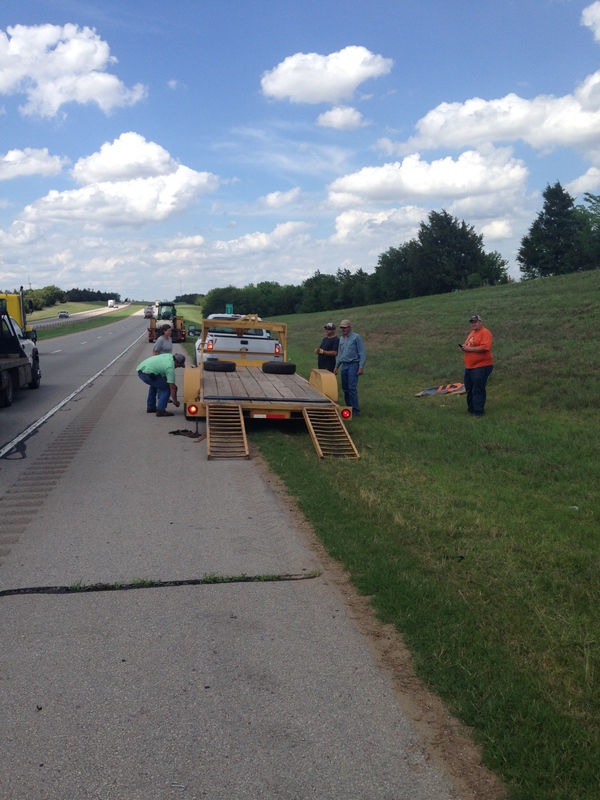 Big shout out to Eley’s service center in Watonga and Watonga Machine and Steel for getting us back on the road. Once we made it Thomas harvest went well. Yields were low, but that was to be expected given the freeze and drought. Banding P as a Band-Aid for low-pH soils. In the mid-1970s Dr. Robert Westerman banded 18-46-0 with wheat at planting in a low-pH soil near Haskel Ok. The impact was immediately evident. Soon after Oklahoma State University recommended the “Banding of Phosphate in Wheat: A Temporary Alternative to Liming” Figure 1. 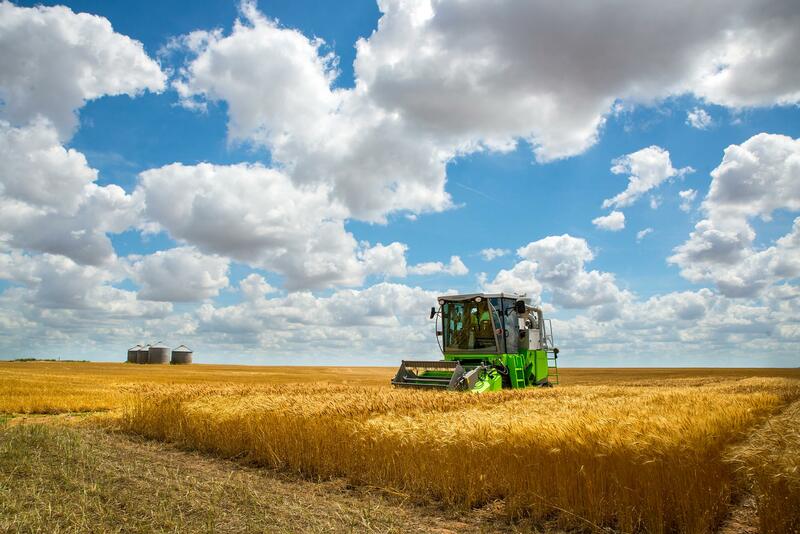 This method was a Band-Aid solution for the significant amount Oklahoma winter wheat production area which was either too far from a reliable lime source or under a short term lease contract.